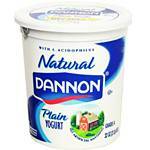 Yogurt emerged as a popular diet food in the 1970’s originating from the Indian product Dahi. Dannon first introduced the product to the United States calling it “yogurt”, which is a name that originated from the term “curd” which is part of the yogurt making process. It wasn’t until the 1980’s when President Regan was advised by doctors to eat yogurt for his colon troubles, that people started to realize it’s true health benefits. Even so, the product has made continuous changes and improvements with technology. The latest technology in the yogurt making process has resulted in the production of probiotic yogurt which has been said to have even more health benefits. Probiotic yogurt is most commonly marketed and consumed as a digestive aid and is perfectly safe for most people to consume as they would regular yogurt. The term probiotic is refers to substances that promote the growth of beneficial micro-organisms within the body, thus it is essentially the opposite of an antibiotic. Where all yogurts contain a certain amount probiotics, the yogurts that are sold as “probiotic yogurt” contain more of the beneficial bacterias. The two types of probiotics most commonly found in yogurt are Lactobacillus and Bifildobacterium. Both of these bacterias are similar to those found naturally in the human body and are essentially beneficial when ingested for this reason. These bacterias have been proven to reduce the effects of some Gastrointestinal problems including Crohn’s Disease and Irritable Bowel Syndrome by the reduction of the inflammation that is associate with these disorders. Also, through the production of Lactose, probiotics can greatly reduce Lactose Intolerance. Probiotics have also been proven to prevent colon cancers when consumed on a regular basis by decreasing the amount of carcinogens in the intestine. Probiotic yogurt is also a natural immune system booster can also be consumed to improve overall heath and to prevent illness. Where the health benefits of consuming probiotic yogurt on a regular basis have been proven to be true in most individuals, they can still cause mild side effects in others. Some people have reported gas or bloating as a result of the consumption of probiotic yogurt. Also, regular consumption can result in over-stimulation of the immune system which is why some doctors do recommend this product for infants and elderly people with serious health conditions. As a country, our interest in and consumption of probiotics has been consistently growing since 1994. Many of the household brands of yogurt in stores today have a “health digestive” or probiotic option. These yogurts are typically the same as other yogurts but do have more of the probiotics, or health bacteria, added to them. Because of the addition of probiotics, these products are said to have even more of the natural health benefits associated with yogurt. There is new research being done every day on the benefits of probiotic yogurt. Most of the research shows that there are more and more health benefits associated with the consumption of probiotic yogurt which as earned the product a long term place in the dairy section of every local grocery store..